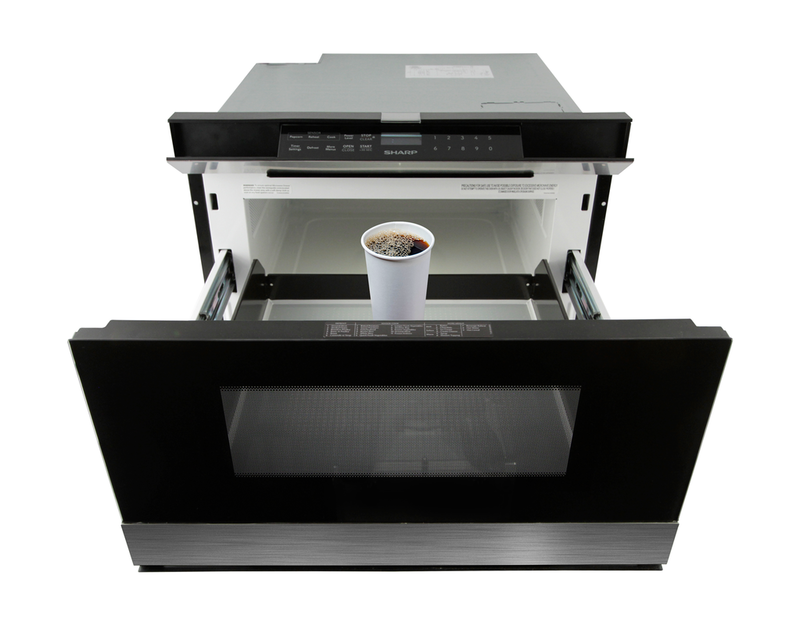 The Sharp Black Stainless Steel Microwave Drawer offers flexible placement options so you can focus on the design elements you prefer by maximizing sight-lines and enabling more design versatility than typical built-in, over-the-range or countertop microwaves. The Microwave Drawer with black stainless steel finish can be placed below an island, peninsula, or standard cabinetry, and can also be installed adjacent to your wall oven. ​Sharp’s Black Stainless Steel Microwave Drawer's rich, elegant finish is an absolute show-stopper for your dream kitchen. As a complimentary appliance in a black stainless kitchen, or a stunning design statement in any kitchen, the Sharp Black Stainless Steel Microwave Drawer allows you to showcase your design savvy and create a premium kitchen that flows with your lifestyle.